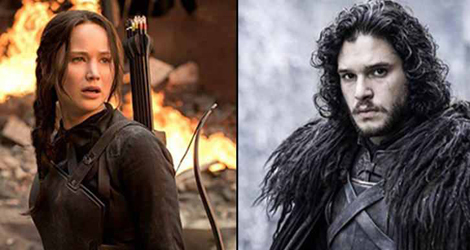 Amazing doesn’t even begin to cover it when talking about this amazing mashup that pits Hunger Games star Katniss Everdeen against Jon Snow from Game of Thrones. It is epic, everything you could want and more, and frankly, the only thing that I’m thinking right now is how on earth no one has thought of this idea before, especially given President Snow is the protagonist in the Hunger Games and mentioned all the time. The video will at least provide some comfort for GOT fans, who have been told once again that the beloved character played by Kit Harrington is in fact dead, and will not be coming back, despite plenty of conspiracy theories. Hunger Games fans meanwhile are eagerly anticipating the final instalment in the series, which hits screens in November and has just released its latest trailer.